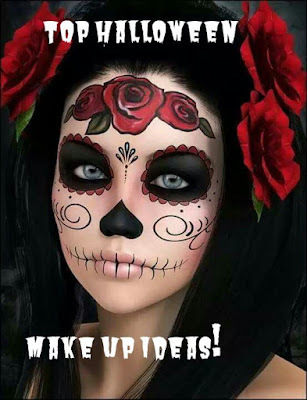 Everyday Young Mum: Top halloween make up ideas! Top halloween make up ideas! So it is exactly a week until Halloween is upon us! 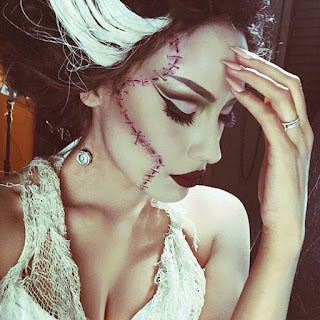 Last week I put up some posts about Halloween costume ideas (click here to see those ideas) and what is the point in having an amazing costume without having some wicked makeup to finish it all off. I love this! It would be a super easy look to create! All you would really need to do it make your foundation a lot whiter and add the stitches down the side of the face. This picture is amazing as well!! 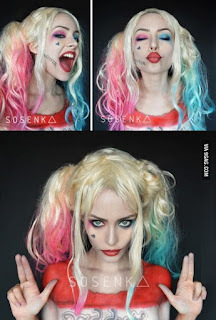 I can imagine this will be a very popular Halloween costume this year due to suicide squad! I think i would love to be a crazy evil women with bright hair and makeup! This would look amazing along side the unicorn outfit I talked about in my previous post. The multi tonal hair and the glitter sets this make up look of a treat! Here is a link to a tutorial that shows how to do similar makeup! 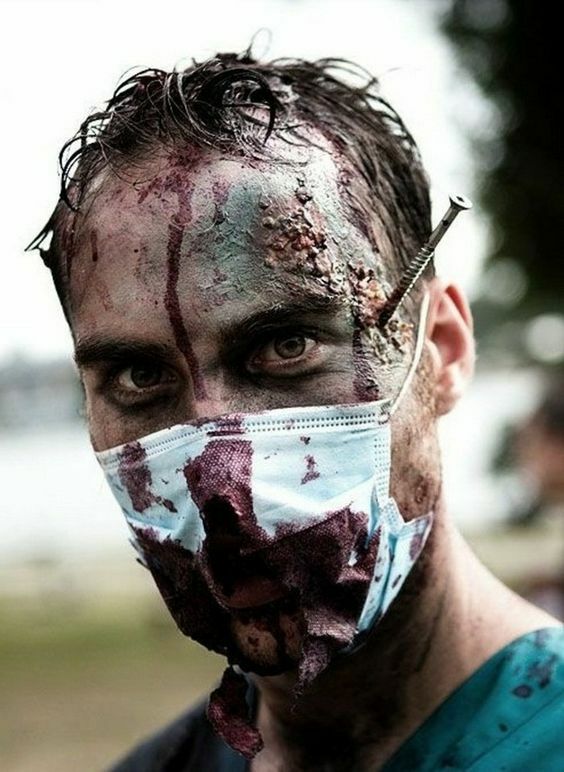 This will be another common makeup look for men this year especially and Frankenstein is very common at Halloween for obvious reasons. 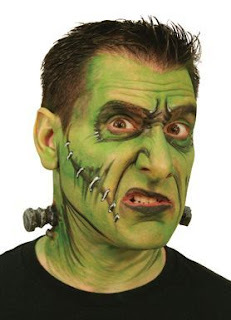 Here is another link to a face painting tutorial for Frankenstein! This is another of my favourates! This would look amazing if it was done properly! I wish I had the ability to do this!! I hope that there these are helpful and please comment your makeup with your outfits down below!